Today was World Card Making day! 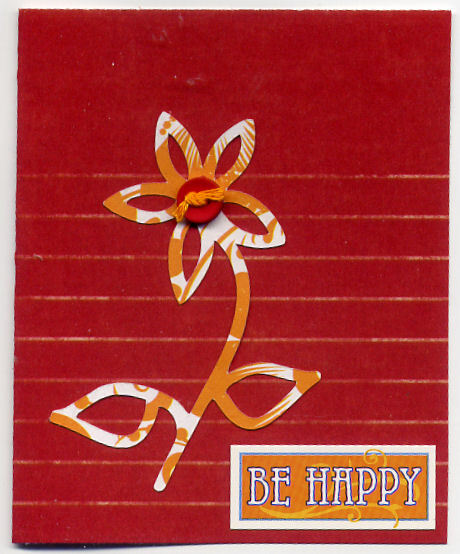 I made this quick and simple card For The Cricut Blog Challenge I cut the flower with Calligraphy Collection Cartridge and added a button to the center. 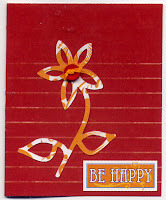 Paper is Creative Imaginations, Be Happy Sticker is from 7gypsies. Thanks for stopping by. The card is simple, like it's title. Yet so perfect!